Democrats worked hard all through 2018 to besmirch President Trump, and they continue breathlessly to the very end. Each day brings another flurry of accusations and poutrage. Eight days ago Donald Trump tweeted that even President Reagan had tried for years to build a border wall or fence, and was unable to do so. This created jam-packed scoffing from Lying Lefties who were falling over themselves to deny it. Reporters did their best to cover up Reagan’s wish for a fence and called Trump a liar. In Reagan’s day, White House workers were less likely to leak since they were raised with discipline. Today’s White House staff leak like dime-store baskets. If they have nothing to spill their guts about they bake up lies to sell to the nearest fake reporter. 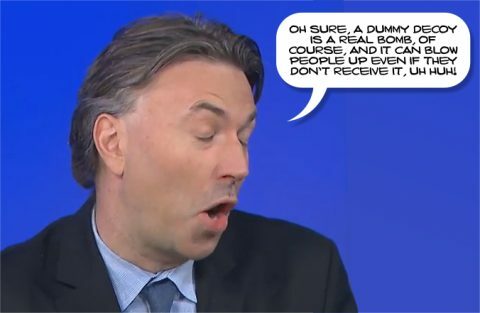 I threw my fishing line into the swollen river of Lefty Lies, and the first to bite was the ABC’s “This Week.” Host Jonathan Karl was joined by four guests; former New Jersey Governor, Chris Christie, National Review editor, Rich Lowry, former DNC Chair Donna Brazile, and Elisabeth Bumiller of The New York Times. That surprised me so I – I called up Lou Cannon, the great Reagan biographer and said, “Did you ever hear the President Reagan ever push for a wall? He said, “No,” and then this quote surfaced from Reagan in 1980. No, he didn’t push for a wall, but the Berlin wall was a big issue then. 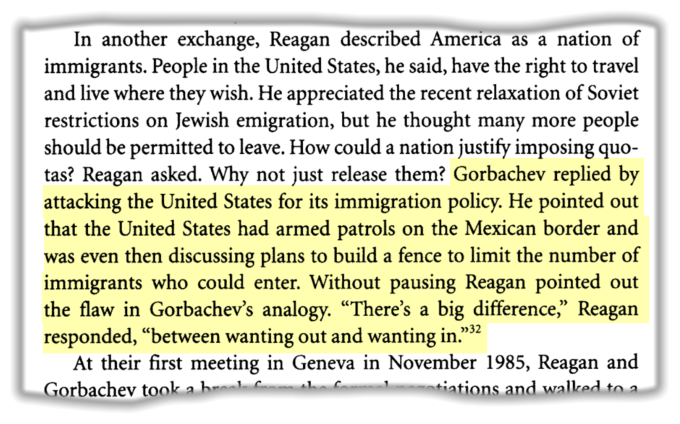 Reagan knew it would look contradictory if he were telling Mikhail Gorbachev to tear down the Berlin Wall while pushing for the building of a Mexican border wall. That’s why he used the word ‘fence’ instead of ‘wall.’ He discussed building a fence between the States and Mexico, in private mostly, but he did not want to lose Mexican/American votes either, so it wasn’t something he shouted from the hilltops. It was primarily kept quiet. Rather than making them, or talking about putting up a fence, why don’t we work out some recognition of our mutual problems, make it possible for them to come here legally with a work permit, and then while they’re working, and earning here, they pay taxes here. Like all the Fake News that day, Jonathan Karl left out the fact that this was a misquote Reagan made while reading from his own speech. My name is David Grossberg, and I would like to know: Do you think the children of illegal aliens should be allowed to attend Texas public schools free, or do you think that their parents should pay for their education? George H. W. Bush answered first, saying he would like to see some illegal work being done by illegal workers made legal, and praised Mexicans, saying part of his family was Mexican. He was trying to appeal to women and Mexican/American voters. I think the time has come that the United States and our neighbors, particularly our neighbor to the South, should have a better understanding and a better relationship than we have ever had. And I think that we haven’t been sensitive enough to our size and our power. They have a problem with 40 to 50 percent unemployment. Now, this cannot continue without the possibility arising with regard to that other country that we talked about, of Cuba and what it is stirring up, of the possibility of trouble below the border, and we could have a very hostile and strange neighbor on our border. Rather than making them—we are talking about putting up a fence. Why don’t we work out some recognition of our mutual problems, make it possible for them to come here legally with work permit, and then, while they’re working and earning here, they pay taxes here. And when they want to go back, they can go back. And they can cross, and open the border both ways by understanding their problems. This is the only safety valve right now they have with that unemployment that probably keeps the lid from blowing off down there. And I think we could have a fine relationship, and it would solve the problem you mentioned, also. Reagan misread the prepared script. Instead of saying, “we are talking about putting up a fence,” he said, “or talking about putting up a fence.” That changed the meaning. It was a simple mistake – a verbal typo – and Fake News milked it for all it was worth. Reagan had meant to say, as per the transcript, that they were talking about building a fence and that it would be used to regulate the flow of migrants in conjunction with permits, etc. Reagan was defending plans to build a fence to limit the number of immigrants entering the United States. This quote is from the book ‘Reagan: A Life In Letters,’ by Kiron K. Skinner, Annelise Anderson, Ronald Reagan, and Martin Anderson, 2004. He was hinting about illegal aliens invading America. Donald Trump remembers that Reagan wanted to build a fence and was unable to because Reagan did want to make a wall but was unable to. The liberal press did not want the public to know ‘the Gipper’ wanted a fence, so they simply ignored it. Trump, on the other hand, met Reagan, and many of his friends and associates. Trump has a memory. He does not need Google to ‘remember’ this, unlike all the goofy fake reporters out there. Lowry was almost right, but the GOP was responsible for this, not Reagan. Many Republicans were soft on immigration, including Bush senior. They prevented Reagan from building his ‘fence.’ In the end, he had to go along with the Party itself, and voice their sentiments and decisions. He was too old-fashioned to mention any of that outside of a small circle of friends, and none of it was leaked. Trump suffers the same problem; limp-wristed Republicans and RINOs. Lowry insisted Trump was wrong to take credit for the government shutdown, saying he ‘blew through’ the ‘first rule of shutdown.’ Applying those kinds of rules to Trump shows Lowry has a lot to learn about this President. He took credit for the shutdown because he knows nobody needs government bureaucracies. Keep it closed for long enough, and maybe the government will realize just how unnecessary most of it is. Donna Brazile and Elisabeth Bumiller are NPCs, so all I heard when they began moving their mandibles was a robotic chant. At the six-minute mark, Chris Christie displayed an alarming lack of business insight by claiming that only in politics do people wait in the weeds to pounce on you. The real estate world is full of predators waiting in the undergrowth, and they are far better hunters than politicians. Trump knows far more about this than the average politician. Christie lecturing Trump about swamp critters is like PBS lecturing Fox News about biased reporting. He describes Washington politics as “this world” and high business as Trump’s world, but in fact, out of the two only one of those worlds exist, and that’s Trump’s business world. Without that world there would be no creepy politicians, or maybe Christie forgot about his bank account, suit, car, house, furniture, security, roads, bridges, jets, electricity, lights, computers, internet, supermarkets, heaters, air conditioners, clean water, guns, fences, farming, and the ten million other things politicians depend on to exist, which all come from Laissez-faire capitalism. 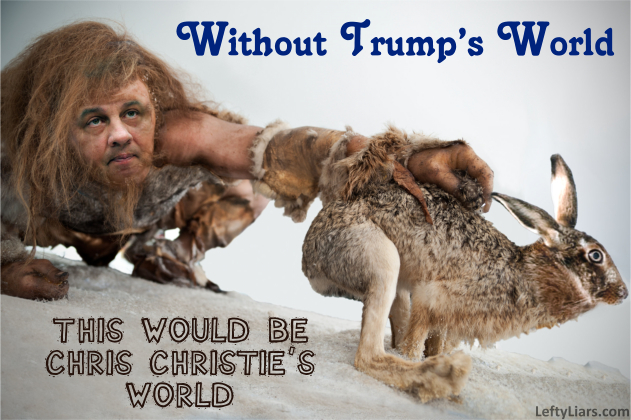 Take Trump’s big business world away, and Christie would be a skinny caveman chasing hares. He got it right a short time later when he said that when the stock market was up the media refused to give credit to Trump, and when it fell, they blamed him straight away. 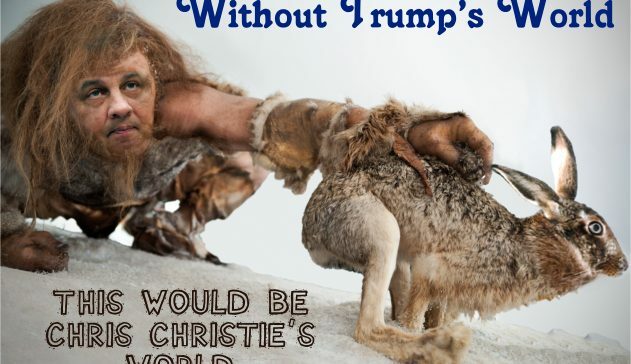 Christie is sometimes right and sometimes wrong. I suppose he thinks he has to humor the liberals at ABC, but that is one thing Trump would never do. Our concerns about his temperament and his shambolic style have largely proved out, and unfortunately this week has been a prime example of it. This pleased Elisabeth Bumiller. ‘Shambolic’ is an English word meaning ‘disorderly or chaotic,’ and there is nothing disorderly or chaotic about Trump. If there is, Lowry should point to an example. It will not be chaos so much as something that Lowry disagrees with. Perhaps he thinks he would make a great president. I see no evidence of that. Perhaps he could try managing a menswear store instead. 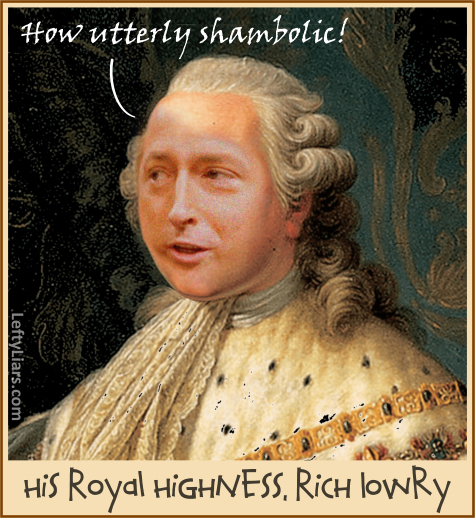 The last thing we need is another pretender who does precisely what his brown-nosing pals want him to do. Later Christie points out that, as a 72-year-old, Trump will be set in his ways, just like most people’s 72-year-old grandfather. It is not so much about being stubborn as it is about respect. As I said regarding Trump’s continuing to play golf, people would never treat their own 72-year-old fathers or grandfathers the way they treat their President. Presidents from George Washington to Lyndon B. Johnson were protected from their own minor failings by the good manners of the press. Hippies ended that with their spiteful and venomous hatred of Nixon and the establishment, throwing courtesy and fair-play out the window. 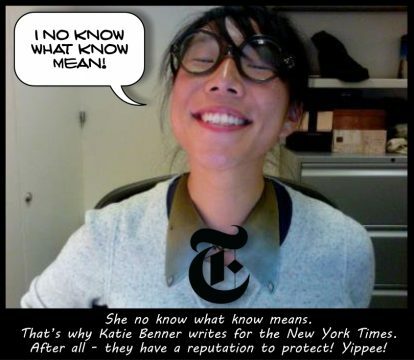 After that, any minor human foibles would be laser-focused on by the liberal press. They protected their heroes Carter, Clinton, and Obama, but went to town on Reagan, the Bush’s and now Trump. 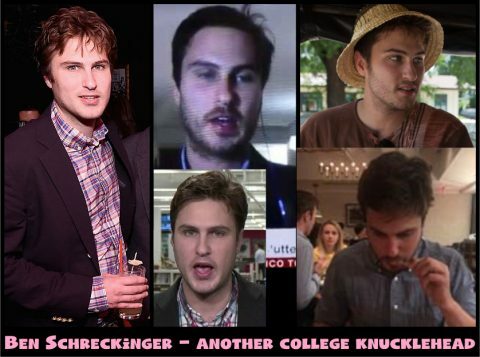 Reporters not only skin Trump alive for making innocent errors, but will rehash their vile derisions every opportunity they get, for years, like recurring yeast infections. The public did not read the details of hundreds of Carter’s mistakes and missed out on most of Clinton’s and Obama’s because the press applied those rules of old to them. They made far more mistakes than Trump, and many were dangerous mistakes, costing Americans dearly. Fake News has worked hard this year and last, creating Nothingburgers about President Trump. None of them stand up to scrutiny though, and all contribute to the gradual death of the liberal media. Without society’s trust they cannot survive, and who in blazes trusts those guys anymore?